The seemingly irresistible draw of social media scrolls on smartphones can be hard to withstand. But some teens are finding ways to strike a balance. National studies following teens in the U.S. and Europe have found slight associations between spending five hours or more online per day and poorer adolescent well-being. Researchers are divided over whether smartphones are harming adolescent brains — but both doctors and teens themselves worry about overuse. 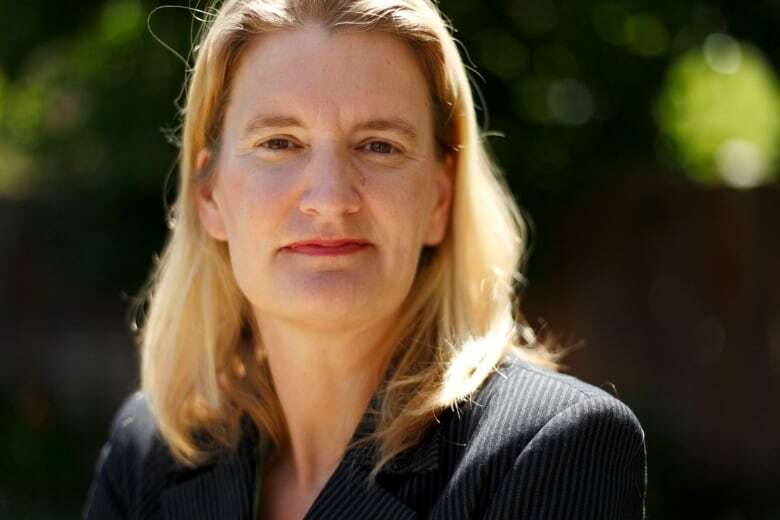 Jean Twenge, a professor of psychology at San Diego State University, wanted to understand why there's been a spike in depression rates since 2012, as teens got less sleep and the popularity of electronic devices took off. The author of iGen: Why Today's Super-Connected Kids Are Growing Up Less Rebellious, More Tolerant, Less Happy — and Completely Unprepared for Adulthood, Twenge set out to explore generational differences by crunching through survey data from large, nationally representative samples of teens in the U.S.
U.S. teens now routinely clock up to six hours a day on social media, texting and other online activities, she found. "For teens in particular, it's catnip," Twenge said. If teens spend less time face-to-face, which is known to be protective and soothing, Twenge said that alone could be an explanation for the association between overuse and worse mental health. Claims that smartphone overuse is linked to depression or decreased well-being are strong ones to make, cautioned psychologist Amy Orben. She completed her PhD on the effects of social media. "There is a small negative effect of overusing technology and screens on teen well-being, but actually eating breakfast and getting a good night's sleep has a three times more positive effect than screens has a negative effect," Orben said. Smartphones also have their upsides and many Canadians say the technology enriches their lives. 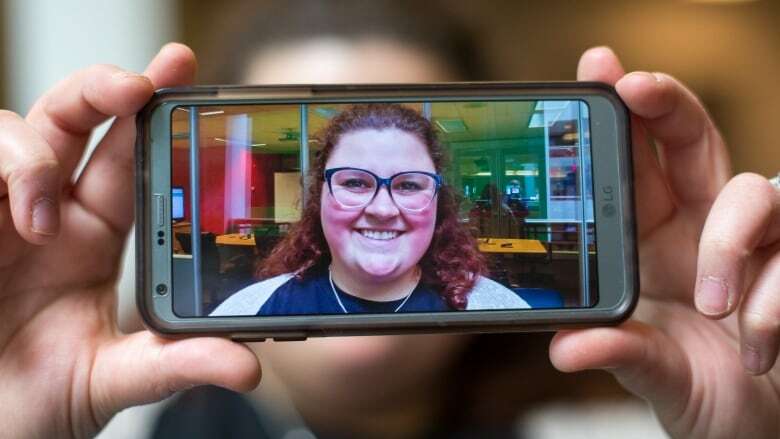 Jessica Fazio, 24, sees benefits from connecting through social media as well as what she calls the flip side of always having a phone in your pocket. "If someone messages me and I'm with other humans, I don't need to answer them back right away." The Windsor, Ont., resident uses Instagram and Facebook in her advocacy work with Jack.org, a national network of young people who aim to change the way people think about mental health. When she speaks to high school students, Fazio cautions how social scrolls don't reflect "the whole deal." "We're really comparing ourselves to others and we're working out our self-image," said Fazio, who calls herself "a late-night scroller." 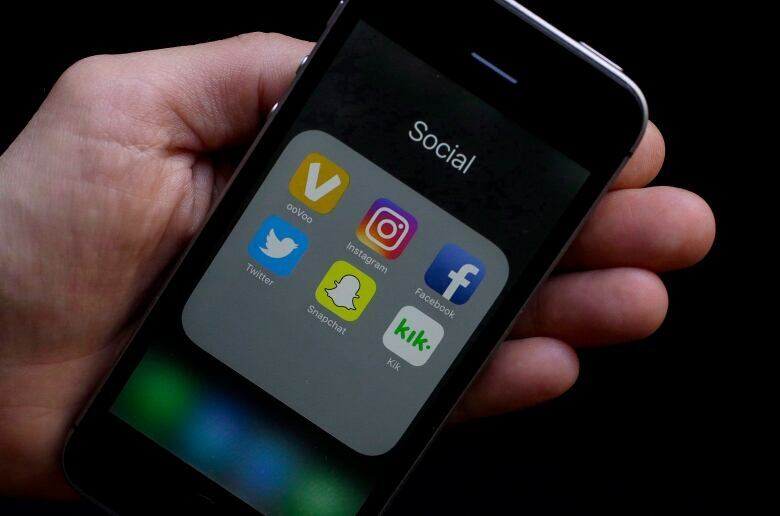 About two-thirds of adolescents say they use social media to cope when life is stressful, said Andy Przybylski, an associate professor at the Oxford Internet Institute and Orben's colleague. Przybylski said society hasn't yet truly grappled with how the invention of the light bulb changed how we sleep and procreate beyond the sun's cycle, and now we need to cope with notifications from smartphone apps. "If you're worried about dangers of smartphones, the first thing you should be worried about is distracted driving," Przybylski said. Distracted driving is considered the only established risk. Przybylski points to other areas of concern that came to the fore in 2018, such as how our locations and those of our children are tracked, and how apps, depending on the platform, can access microphones and cameras. Hypothetically, why might adolescents be more vulnerable to problematic smartphone use? There's a lot of factors at play, said Jason Chein, a psychology professor at Temple University in Philadelphia. His experiments explore how teens take more risks when they're with their peers compared with when they're alone. Chein said adolescence is a developmental stage when hormones are kicking in and the brain is thought to become more sensitive to rewards such as social media "likes," as dopamine processing of rewards starts to reconfigure. Researchers turn to brain scans to fill in the gaps. The studies are preliminary and it's hard to tell what they mean on their own, Chein said. First, scientists need a more robust understanding of the adolescent brain and how individual differences from genetics, parenting and substance use collectively shape teen behaviours. When some teens do find their overuse of a phone interferes with their relationship with their parents, friends, sleep or studies, Dr. Carolyn Boulos talks to them about turning over the phone to avoid the distraction. In her youth psychiatry practice at Sunnybrook Health Sciences Centre in Toronto, Boulos said she's seeing more young people communicating through photos alone on Snapchat and Instagram. Her concern is that their verbal communication and problem solving skills don't get as much practice. In her view, it can add up to more arguments, particularly if no one is truly listening. "It's not necessarily that [smartphone overuse] causes depression or causes anxiety, but it can feed into making symptoms worse," Boulos said. For instance, young people may be more self-conscious about their appearance or fall victim to cyberbullying. It's equally true, Boulos said, that teens who stutter may find it easier to communicate through social media or texts. Other teens navigate skillfully through our world of screens. "Endless scrolling" can be an issue for some classmates, said Jack Spencer, 18. "People use it to seek distraction," the Richmond Hill, Ont., student said. "It's like messing with a cup holder in the car when you're a kid." Patrick Arcilla, 15: "I set a time limit and then stop and read a book." Nowreen Taslima, 17: Quit social media sites. "It was a platform to advertise yourself," she said of Instagram and Snapchat. David Stevens, 15: Just listen to music before bed without checking the screen. Fazio believes educating teens and children about mental health, including social media's effects, will help. "We can step back and we can take a break. It's really important."